Phase distortion at low frequencies causes audible degradation of music. When is it audible, what causes it and how does it affect sound quality. Phase distortion means that different tones gets a different time delay. It has been a general assumption that phase distortion in audio reproduction is not audible. Typical sources of phase distortion in audio reproduction are loudspeakers and room acoustics. Music can also be destroyed in the production process, where dynamic compression can cause effects similar to phase distortion. Dynamic compression in music is well known today as the Loudness War. The kind of signal processing used causes loss of transient peak amplitude, and smearing of the same transients over time, to compensate for the amplitude loss. It is this type of signal destruction that is investigated here. Upon visual inspection one can see that the phase distorted waveform is clearly changed, and it may be difficult to understand why this is not also very easy to hear. But phase distortion means that the only change to the signal is related to timing, the spectral frequency distribution is the same, and there is no nonlinear distortion added. The energy of the signal is preserved, though very large phase shifts will cause the energy to be smeared out across a longer time interval. One thing that may be important is that the transient peak amplitude is reduced in level, and this is what is presented as a hypothesis for audible difference here. This reduction in peak level will potentially reduce the maximum peak sound pressure that is experienced. Reduced transient peak amplitude will cause loss of tactile impact and punch when played reasonably loud through loudspeakers. A music signal with very dynamic and transient content - mostly drums - is processed with an allpass-filter to create a phase shift that is large enough to change the signal so that the peak level is significantly reduced and the waveform is visually changed. 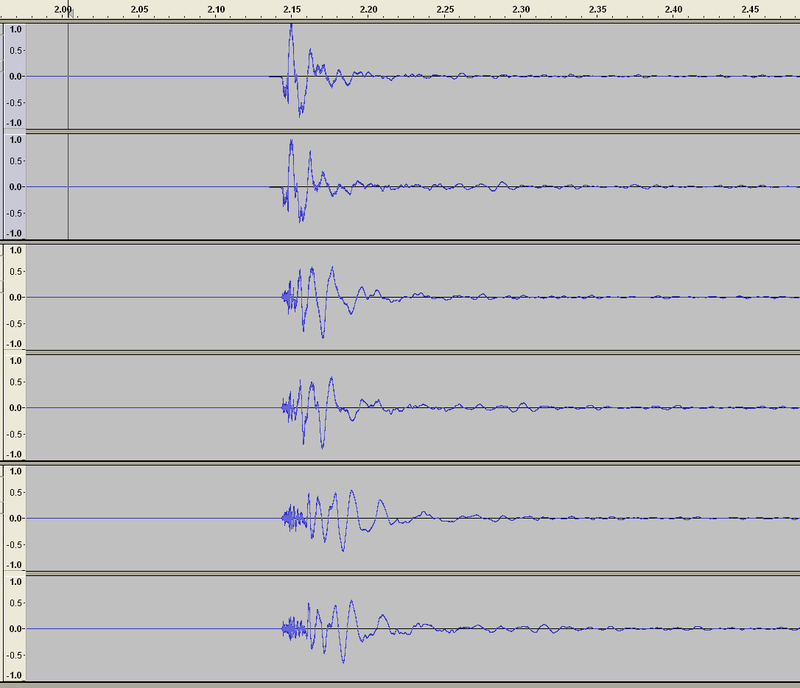 Three different test signals were made - original, phase distorted, severely phase distorted by running all-pass twice. The original and the phase-distorted signal is ABX-compared by listening on headphones and on the big system. The big system is a full-range system with reasonably flat phase and group delay through most of the bass range. Listening on headphones, the phase distorted music could not be detected as different. Only when comparing to the severely phase distorted signal could a difference be verified, though now the differences were very clear as the distorted signal sounded more boomy and smeared in the bass. The phase distorted music signal could be verified as different from the original in the ABX-test, on the big system. The observed subjective differences are that the phase distorted signal lost some impact and punch. 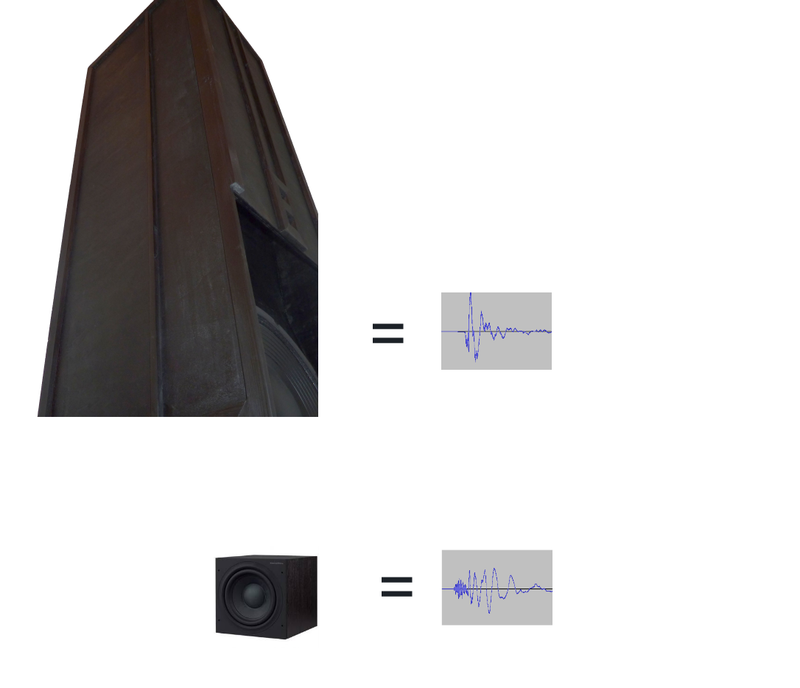 Phase distortion at low frequencies is audible and can cause a significant degradation of music, in certain specific situations, such as when listening on high quality loudspeaker systems at fairly loud levels. The results does not dismiss the hypothesis that peak transient amplitude is important for tactile impact and punch. In other situations, such as when listening on headphones, or at lower volumes or on lesser capable speakers, it was not possible to detect any audible difference between the phase distorted and original signal, as long as the added phase change and time delay is within reasonable limits. This also explains how it is possible that such errors are introduced in the music production process - they simply can not hear it. A similar test for peak limiting is coming up soon - is it audible, and how does it affect the sound. These are short excerpts from the files I used, but they should be long enough for the purpose of trying to hear the differences that the phase distortion causes. This is a very undervalued article, and your supporting evidence of the hypothesis is very interesting, particularly how it's not audible in headphones until the phase distortion is severe, but evident when listening to a loudspeaker system. Just re-uploaded the test files, they are now available at the locations listed in my comment above.